May 15, 2013 /0 Comments/in Shoe Odor /by Jenn F.
Amazon has truly revolutionized how we shop. Back in 1996, you could only add books to your online shopping cart. Nowadays, you can add everything from kitchen gadgets and lawnmowers, to clothing and body moisturizer. The vast catalog of products is a Godsend for people suffering from embarrassing conditions like foot odor. Rather than go through the uncomfortable feeling of standing in line with a foot odor control product, people can discreetly have the item shipped to their homes with the click of a button. On Your Toes Foot Bactericide Powder promises to “eliminate odor for over six months” by using a strong bactericide made from purified microfined oxides of zinc, with a money-back guarantee. The 95 Amazon customers who reviewed this shoe deodorizer gave it a 4.5/5 star rating. 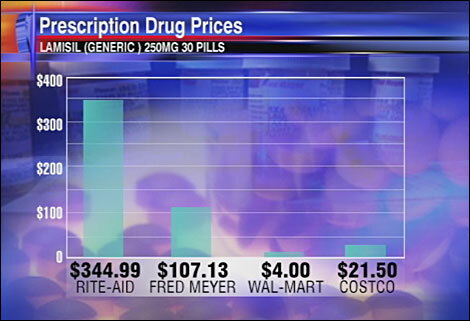 “I am not joking when I say this product changed my life,” says one purchaser. “I have had some very, very, very bad Swiss Cheese feet and have tried everything… this product proved itself the first day I used it,” says another reviewer. This product will treat six pairs of shoes or three pairs of sneakers for $14.95. 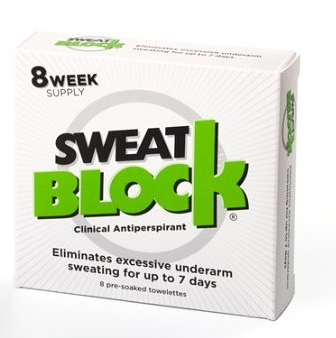 SweatBlock Antiperspirant, which appeared on the Rachel Ray show, has garnered over 800 reviews from hyperhidrosis sufferers. While it’s mainly marketed as an underarm deodorizer, buyers say the wipes have worked as a foot odor control product as well. “I am amazed at how well this product has so far stopped my feet from sweating,” writes one reviewer. “After the first application, it was good for a couple of days; then I reapplied and it has been amazing.” Another customer uses it during ski season, so her feet stay warm and dry in her ski boots. A third reviewer admits, “Every day is still a battle, and one wipe does not last me seven days, but it helps greatly!” An 8-pack sells for $19.99 on Amazon. Dr. Scholl’s Odor-X Odor Fighting Insoles are made using foam for comfort and activated charcoal to absorb odors. “When I take my shoes off at a guest’s house, I no longer worry about stinking feet,” says one reviewer. Another customer says her main problem was with sweaty nylon feet at work and this product “got the job done.” A third buyer reports that the inserts are “very comfortable, easy to install, and seem to last okay.” A four-pack sells for $17.04 on Amazon. You’ll also find the innovative SteriShoe ® UV Shoe Sanitizer on Amazon. Though it’s one of the more expensive foot odor products on the market, it is also one of the most effective and long-lasting solutions to get stink out of shoes. Unlike other products that merely absorb sweat, prevent sweat, or mask the odor, SteriShoe attacks the root cause of the unpleasant odors — which is the disgusting bacteria accumulation that inevitably occurs. Since we can’t wash our shoes in the laundry machine without some damage to the shoes, this shoe sanitizer uses ultra-violet light (like hospitals use) to kill up to 99.9% of the harmful pathogens lurking in the dark, moist footwear environment. The product has a 4/5 star rating from over 100 reviews on Amazon. This podiatrist-recommended product is available for a one-time payment of $129.95 and you can use it daily for years on end.